FINALLY – after so many technical difficulties, I have finished editing the FAQ video [Part 2]! I talk about why the multiple transfers between Edmonton & Calgary, our sleeping arrangements, and what our day looks like. Also, watch to find out what question causes me to get extremely emotional. I hope you all enjoy this second video answering all of your many questions! FAQ VIDEO is done! I’m not an expert at “vlogging”, so it took me a little longer to edit than anticipated, but I think I finally got the hang of it (lots of trial and error). I ended up splitting the video into 2 parts as it would have been way too long to post the whole thing (even with me splitting it, the first part is still over 30 minutes). 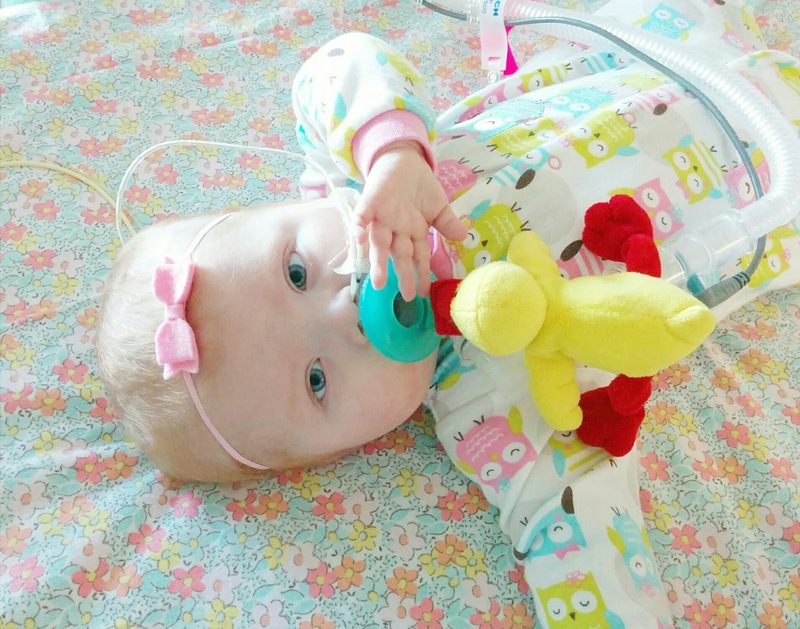 In this first part I talk a little about our history and how we’ve gotten to where we are, her heart, transplants, gtube and of course her trach and vent (why she has it, my thoughts and feelings on it and how long she’ll need it for). Hope you enjoy! Things are going great! We’re still on the floor, and haven’t had to go back to the PICU (something that I was afraid would happen within days of leaving the ICU). We have still experienced some ups and downs over the past few weeks, but Evanna has continued to make great progress and we’re just starting to enjoy life with our baby girl. 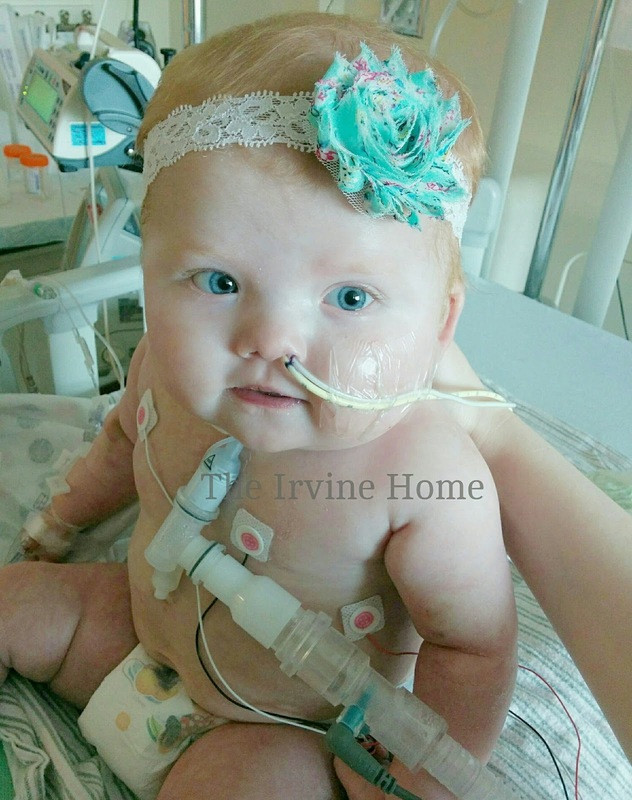 Our first week out of the PICU was plagued with IV and line issues. 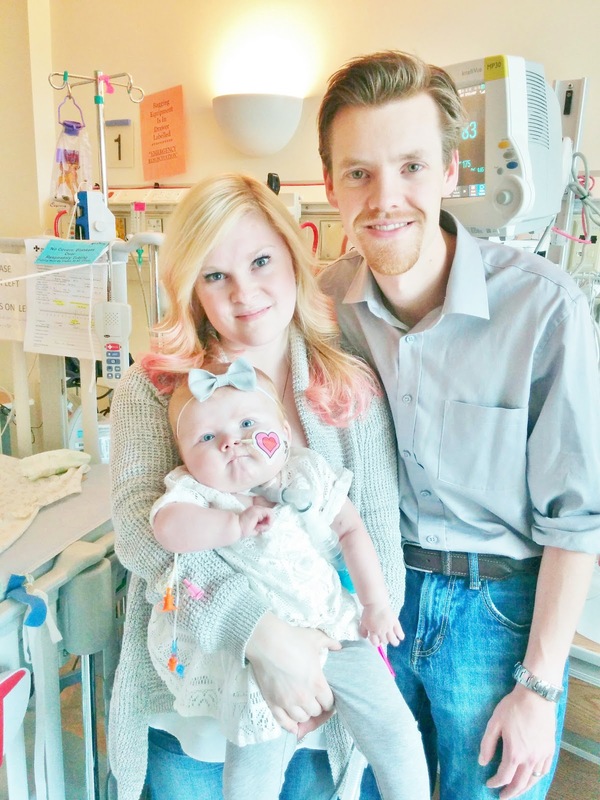 A few weeks after Evanna’s septic shock episode (July 1st), and getting a fungal infection in her PICC line, the Infectious Disease (ID) team and the PICU medical team decided to put Evanna on an extensive antibiotic and antifungal regimen for SIX WEEKS! Even though there are oral versions of the medication they had her on, IV medications work best and the ideal way of administrating them, so Evanna needed to continue to have IV access for this particular treatment plan. The problem was that after her second PICC line became infected and had to be taken out, putting in another one for just a few weeks didn’t make sense and so we decided to try and get away with just peripheral IV’s instead – however they’re less secure and can easily come out or stop working. The day we were transferred out of the PICU, we still had about 10 days to go before we were done with all of the antibiotics, and unfortunately because Evanna’s IV’s kept falling out or stopped working, baby girl was poked a lot (and it was a rare occasion that they got an IV or blood work on the very first poke too!). Let’s just say that it was a day of celebration when she got her last round of antibiotics and the line was pulled out (ps. lines are NEVER pulled out intentionally in the ICU, even if you’re not using them…however, up on the floor, they have no problems taking a line out if it’s not being used. Just another difference between ICU life vs unit life). Our next problem was the withdrawal off Methadone. We had gotten Evanna down to just 0.1mg of Methadone every 24 hours for an entire week! That was a huge accomplishment, because it’s practically just a sniff! I felt that though Evanna may get a tad irritable when we discontinued the Methadone, she wouldn’t go into full out withdrawals – but boy was I wrong! 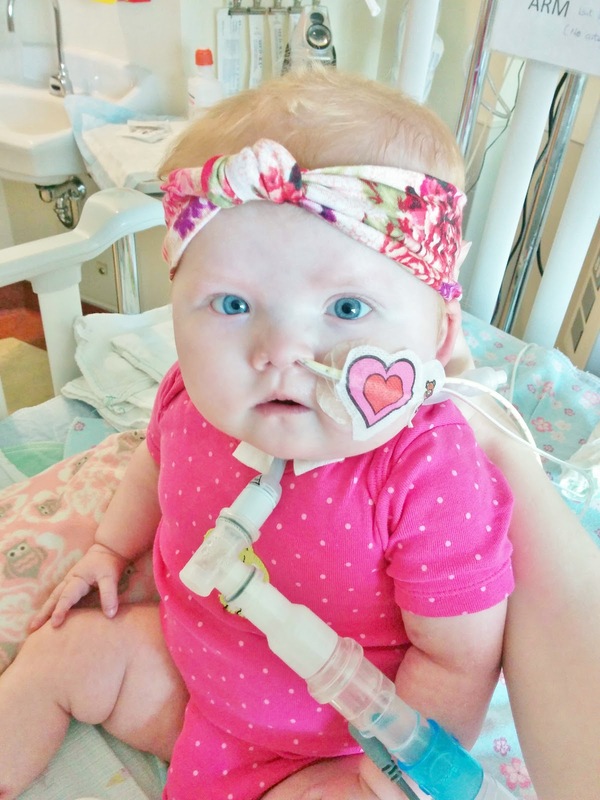 Evanna got her last dose on Tuesday (August 25), and for the first few days, everything was great. Methadone has a very long “half-life”, so we knew that if we were going to see withdrawals, it would happen over the weekend. Well that Saturday Evanna began to get grumpy, and on Sunday (August 30) Evanna was withdrawing very badly – tachycardia, high temperature (high enough to warrant an order for blood cultures in case she actually had an infection), retching, gagging, thrashing around in her bed, etc. 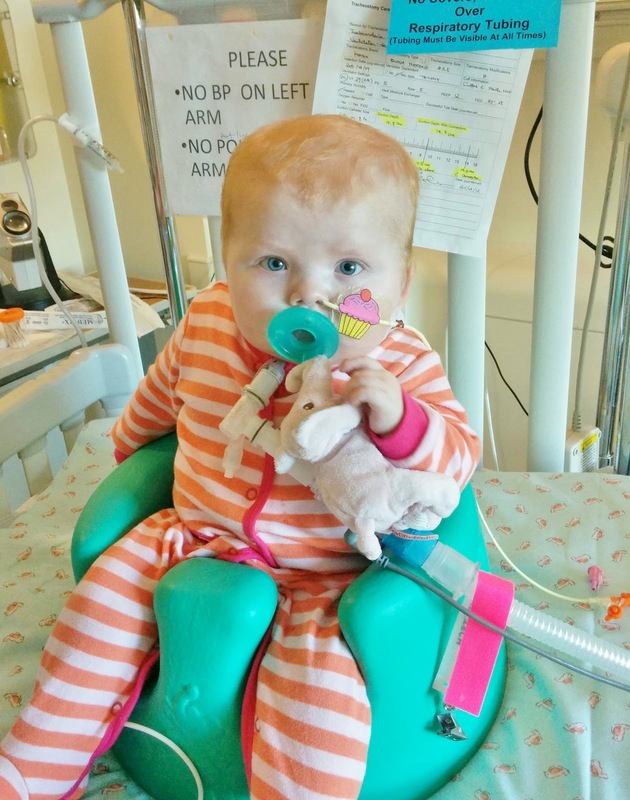 The pediatrician decided to start her on a low dose of Morphine, and while Monday wasn’t a great day either, Evanna began to improve and get back to her regular self. Overall it was an awful weekend, and I seriously can’t emphasize how horrible it is to watch your child experience withdrawals – let alone experience it again and again (since October, I have honestly lost count how many times we have weaned Evanna off of sedation medication which always sends her into withdrawals). As of today, Evanna is only on .2mg of Morphine every 12 hours and we’re aiming to stop that either tomorrow or Friday. Morphine has an extremely short “half-life”, and so we don’t expect the same reaction off such a small amount. The discontinuation of the Methadone happened around the same time that we discontinued her antibiotics and started her on the Morphine. This combination of events caused for some constipation issues, as antibiotics help the gut move along (even give you “the runs”), but Morphine is known to really slow things up, and so Evanna essentially got “backed up”. This was causing pressure on her stomach making her incredibly retchy and also tachycardiac. Once we realized what was happening, the pediatrician restarted her on some PEG (a type of laxative), and she soon began to improve after a few days. Okay, so I feel like I’ve only been talking about all the negatives, so let’s talk all the awesome things that have been happening! Obviously I mentioned that we are completely line free (technically she still has “tubs”, such as her NG & NJ feeding tubes, and her ventilator tube – but that’s a given), so for the first time since October, I have been given free range to put clothes on Evanna and dress her up in whatever I want. While it may seem boring, I have been more partial to sleepers at the moment, as while I’ve been able to put on some clothes on Evanna in the past – I could never put her in a sleeper. I may or may not have had a lots of fun shopping and gone slightly overboard lately on buying lots of new clothes for Evanna, but I do have a pretty awesome excuse….though Nick isn’t too fond of the bank statements at the moment lol. With our new found stability and being on significantly less fluids when we discontinued with all the antibiotics, the cardiologist decided that Evanna needed some more calories (we also think Evanna got a little dry at one point which also explains her week of tachycardiness) and decided to order a slow increase of food to be given to Evanna. Though it hasn’t been very consistent because of all our ups and downs, we are continuing to do lots of physical therapy with Evanna as she tolerates it. We obviously weren’t able to do much when Evanna was going through withdrawals, but she has been back to her regular self over the last several days, and so we have been able to do lots of exercises with her. Truthfully I would say Evanna is a good year behind of where she is suppose to be (completely expected given how long she was intubated and sedated for), but I know that with enough time and patience, Evanna will catch up. While we’re in hospital and when we go home, Evanna is closely followed by both Occupational and Physical Therapy (from my understanding, they'll be coming to our house at least once a week when we first go home) and work extremely hard with Evanna and what her needs are. So what’s the next week or two going to look like? Well as soon as she’s off the Morphine we are going to finally transition Evanna back to NG feeds. We have to go extremely slow in the beginning so her stomach can get use to food again. Once that happens, we will be compressing those feeds and begin to actually give her some orally. Once we get up to a certain volume we can take her for a swallow assessment and continue to work towards complete oral feeding. 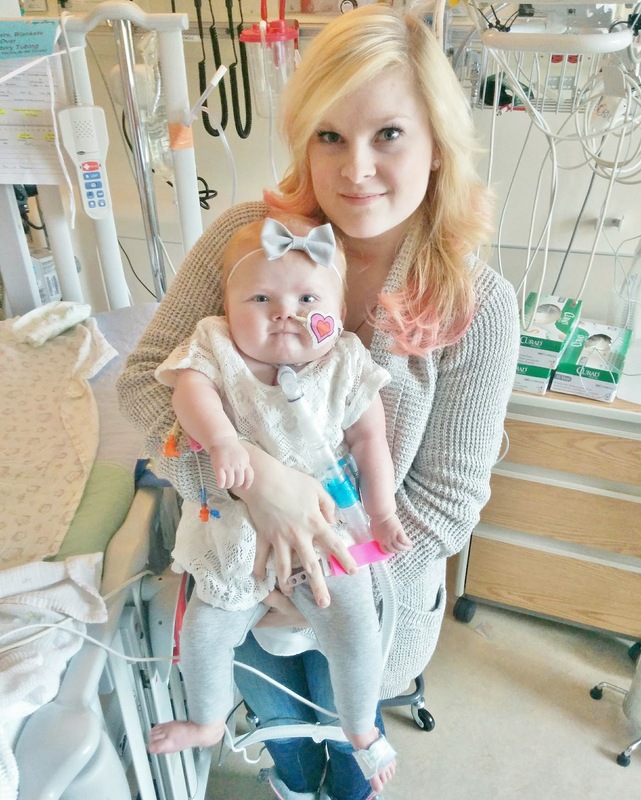 With a trach and vent we know it’s not a guarantee, and that even a G-Tube is a possibility, but at the moment, both myself and our medical team want Evanna to declare herself and we all just want to wait and see what she’ll do. Finally, in a few weeks at the end of September, we will be taking a PLANNED trip back to the PICU for a little sleepover. 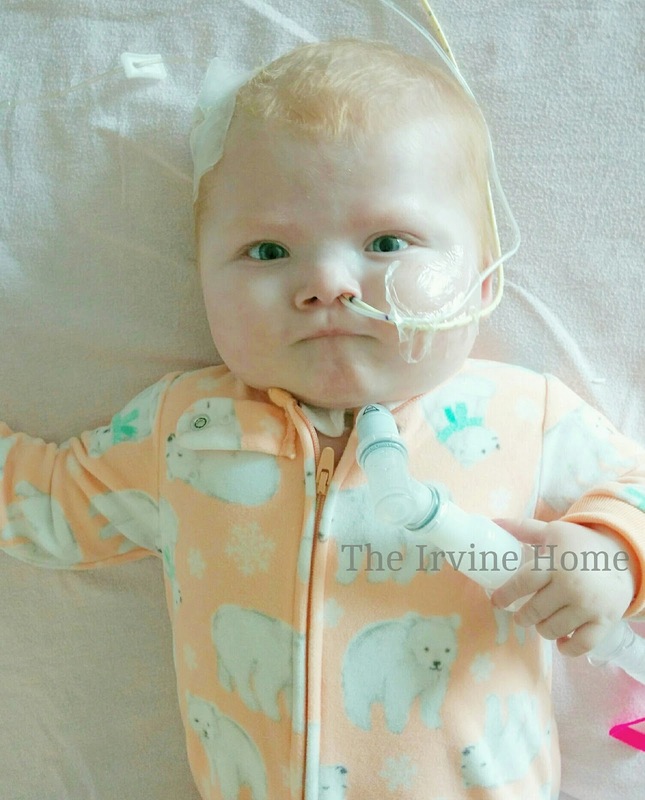 Evanna currently has a cuffed trach (the cuff kind of acts like a seal and doesn’t allow any of air that the vent is providing to escape around the trach tube), and it’s our biggest hurdle at the moment to being discharged. While we technically could go home with a cuffed trach, the respirologists here really don’t like having cuffed trachs “out in the community”. While I won’t go over the particulars of why that it, overall there are just more risks of having a cuffed trach at home vs a regular trach. At the moment, Evanna has a 3.5 cuffed trach, but she’s also a lot bigger than when we first trached her back in March. We are going to change her current out that trach for a 4.0 uncuffed trach and see if Evanna can tolerate a slightly bigger trach that’s uncuffed. 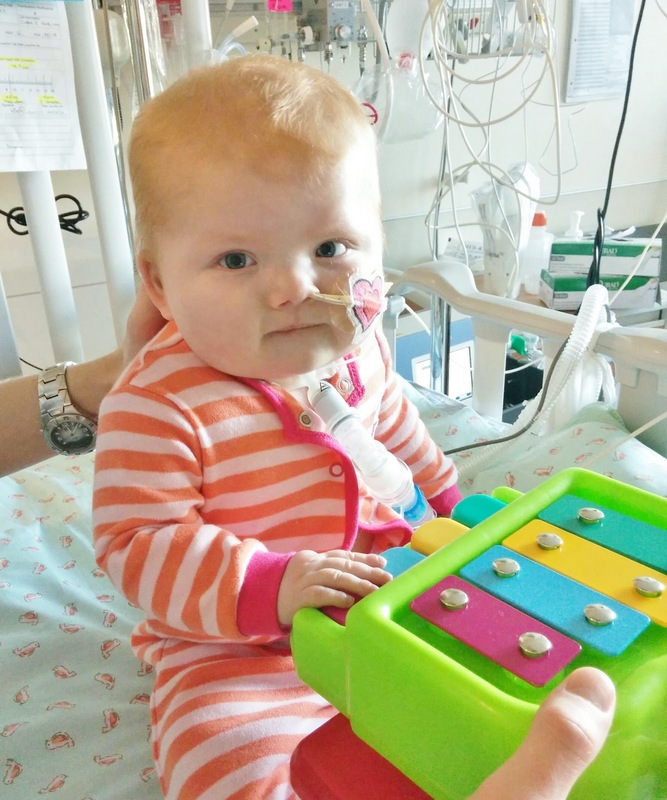 So if you’re the praying type, while we appreciate prayers for overall health, transitioning Evanna to an uncuffed trach will be so wonderful and great, and can really get us on the path towards discharge. Earlier this week, we officially hit the 11 month mark of this hospital admission, and it’s slightly mind-blowing that we are so close to the one year mark. Never in my wildest dreams did I imagine that this would be our reality, but it will be and it’s kind of surreal. You read these stories and journeys of people who go through this situation (as you are right now), and I’m having a hard time believing that I am now a part of that “club”. You don’t ever think it’ll happen to you, but I’ve now learned that life is extremely unpredictable and anything can happen. I plan to write a completely separate post on all my thought and feelings as we hit that milestone, but I just want to thank everyone who has either followed our journey – either from the very beginning or just recently, for the incredible support, love and many prayers said on our family’s behalf. PS. Thank you to everyone that submitted questions for the FAQ video. It was filmed it yesterday, and due to length, I decided to spilt it into two videos. I’m currently in the process of editing it, so hopefully I can get the first video posted sometime later this week. Stay tuned!